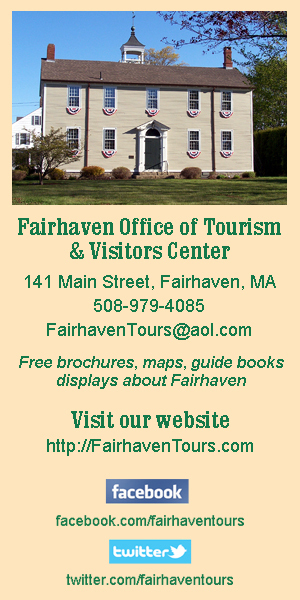 Notice is hereby given that the Fairhaven Planning Board will conduct a Public Hearing at 6:30 P.M. on April 23, 2019, in the Town Hall Banquet Room, 40 Center Street, Fairhaven, MA. To create a new five member Special Permit Granting Authority board who will issue Special Permits for Historically Significant buildings in Fairhaven. The purpose of the historic site reuse special permit is to promote the adaptive reuse of eligible buildings for historic preservation, by modifying those general zoning regulations including parking and loading, lot and building dimensions, density and use limitations, which would otherwise make such preservation unfeasible, while protecting the health, welfare and aesthetics of the neighboring community. The article proposes to amend section 198-15 C (1) and to amend section 198-16. A copy of the application and proposed amendment is on file for public review at the Planning Board Office, Town Hall from 8:30 a.m. to 4:30 p.m., Monday through Friday.For more information or to schedule an appointment to review the application call the Planning Department at (508) 979-4082.